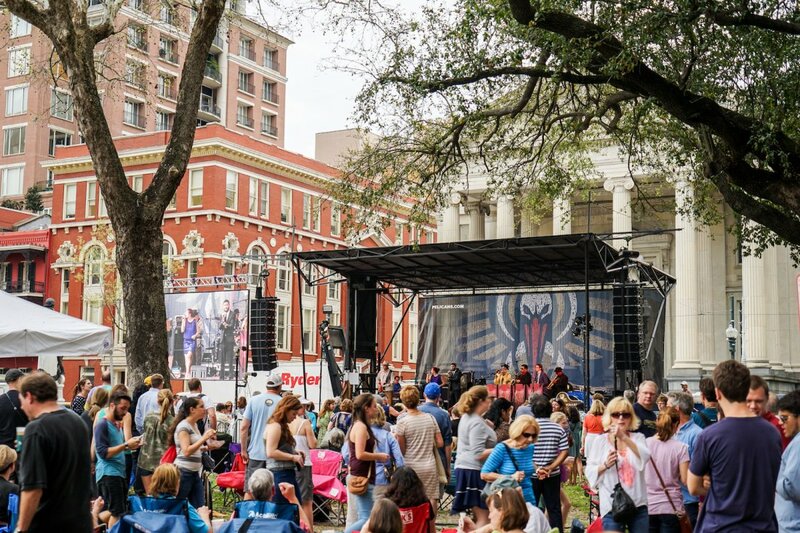 The 50th anniversary of Jazz Fest approaches with eight days of live music, local food, art, and culture (first weekend: April 25-28, second weekend: May 2-5). If you plan to visit during that time to fest, it may be challenging to do much outside the festival grounds over the weekend. But, if you are staying in town for part or all of the week in between, we have put together a full week’s itinerary for the intrepid traveler who wants to take full advantage of their visit. Monday can be a quiet day in New Orleans with many restaurants and museums closed. Take your time getting going today—after all, Jazz Fest can require some recovery time. Make it to Red Dog Diner in time for their breakfast happy hour from 8:00 to 10:00 a.m. offering half off specialty cocktails (but don’t worry if you want to sleep in: breakfast is served until 2:00 p.m.). The menu includes several rather rich options like Tasso shrimp and grits, prime rib Benedict, and brisket hash. Alternatively, order the sweet potato pancakes or a simple bowl of NOLAgranola. Magazine Street is one of the city’s main commercial corridors, and Red Dog Diner is right in its heart. After breakfast, take a stroll, window shopping or popping into a wide array of stores selling clothing, jewelry, antiques, stationery, shoes, household knickknacks, toys, and more. 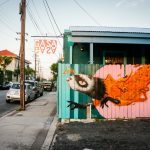 To help you recover from the first weekend of Jazz Fest (before you do it all over again the next weekend), book yourself a massage at one of the many spas on Magazine Street. Belladonna, Embodyment Salon & Spa, and Flōt Nōla Spa are just some of the establishments on the corridor that offer massages. 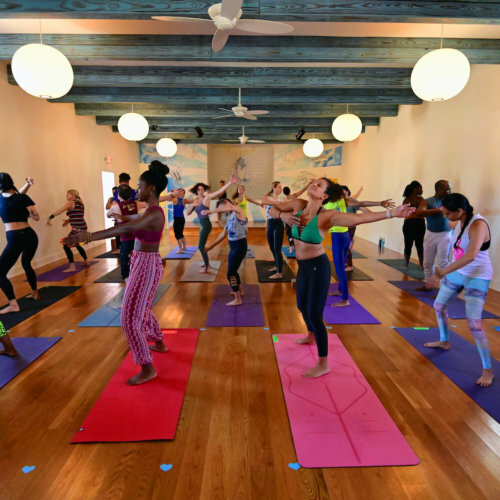 In an effort to not jump immediately back into the world, go to Swan River Yoga Uptown Shala for a restorative yoga class from 4:45 to 5:45 p.m. If you have yet to try restorative yoga, it is a very slow-paced class with only seated or lying down poses, breathing exercises, and meditation. For dinner, Magazine Street holds many options. 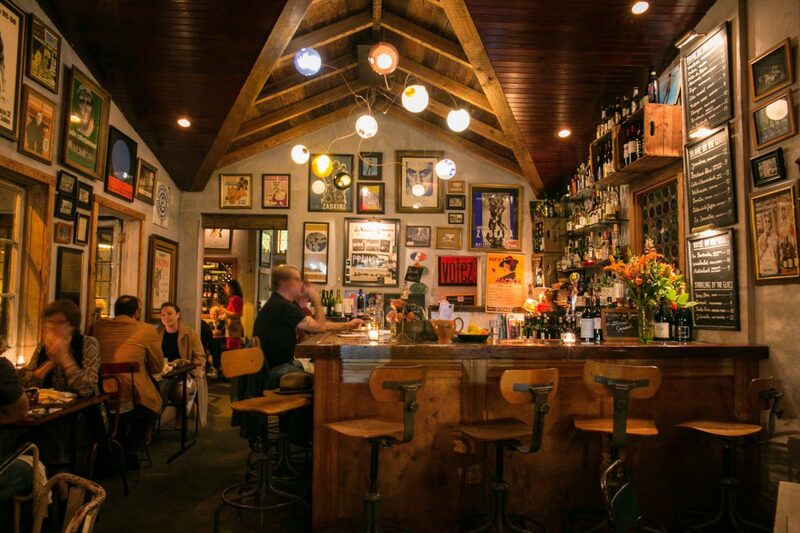 For something delicious and a little bit fancy, try La Petite Grocery or Coquette, both run by notable and successful local chefs. For some more casual New Orleans flair, get a table at Joey K’s and order fried green tomatoes, crab and corn beignets, and red beans and rice. If you are feeling it, head to Dos Jefes Cigar Bar nearby for drinks and music from New Orleans-based singer-songwriter John Fohl beginning at 9:00 p.m. There is seating throughout Dos Jefes, but for a more intimate experience, select a table near the microphone or pick a seat at the bar. Start the day off by renting a Blue Bike from any of the Blue Bike stations around town. Then, bike over to the Lafitte Greenway, which runs along St. Louis Street between Basin Street just past Bayou St. John. The Greenway has been an important transportation corridor for the city, first as a canal and then as a railroad corridor, before its recreational rebirth in 2015. Ride this 2.6 mile amenity to stay active while enjoying a cross-section of the city. 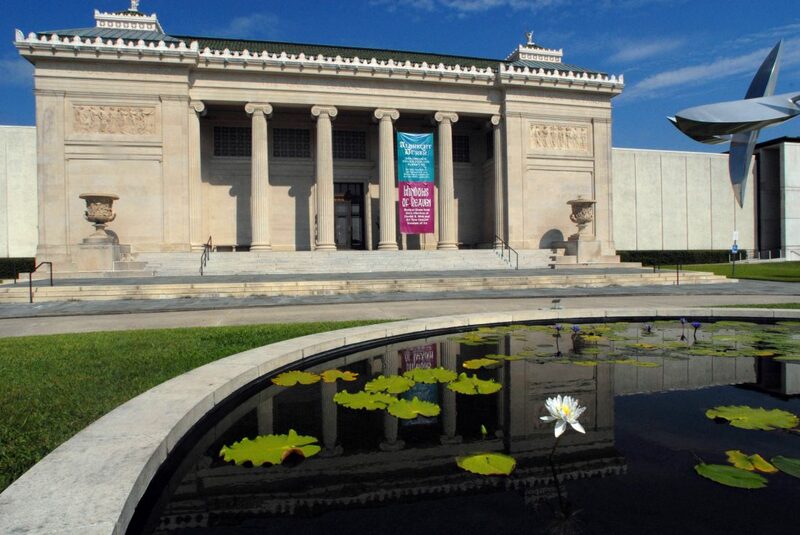 Continue up the bayou to City Park where you can spend a couple of hours exploring the exhibits at the New Orleans Museum of Art. Ear to the Ground: Earth and Element in Contemporary Art examines the influence nature can have on art, with works across a range of media. Bondye: Between and Beyond is a collection of sequined prayer flags with inspiration drawn from Voudou religious rituals. Art can build up an appetite. Toup’s Meatery, a local Cajun (New Orleans traditional cuisine is Creole vs. Cajun) eatery by Chef Isaac Toups, specializes in meaty dishes. Order some small plates like Louisiana crab claws and grilled artichokes and enjoy the meatery board for a selection of house-made meats. Order boudin balls and cracklins on the side. If you prefer an entree, try the pastrami rubbed duck breast with sherry lentils, sweet pea puree, or the hot fried quail with smothered green beans and spiced honey. Walk it off in City Park a block away, or take a 12 minute walk to the St. Louis Cemetery No. 3. The cemetery, larger than St. Louis Cemeteries No. 1 and No. 2 which preceded it, was built in 1854. 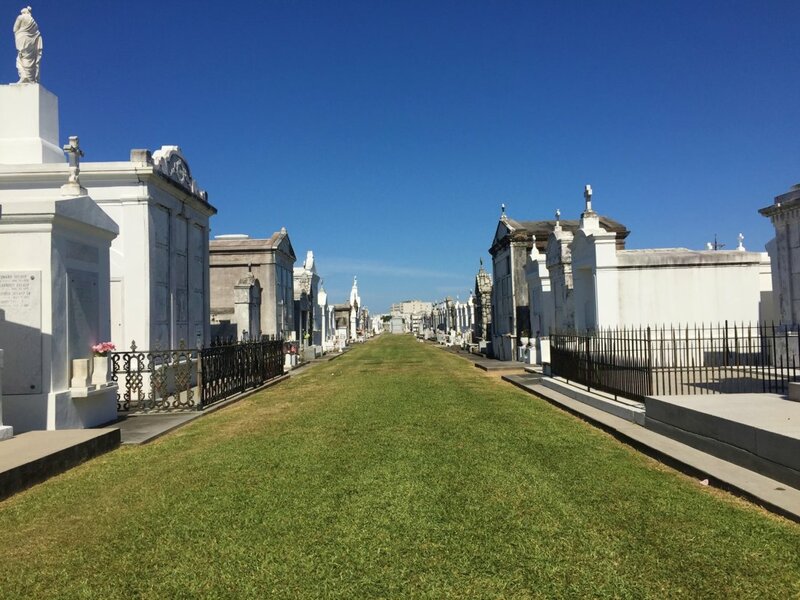 Explore the tombs laid out in neat aisles which denote the final resting places of a wide variety of notable New Orleanians including photographer E. J. Bellocq, priests and nuns, and members of the local Greek and Croatian communities. Then, head to Pandora’s Snowballs, nearby on N. Carrollton, for a refresher. For something a bit different, order the strawberry cheesecake cream with condensed milk or the sky blue cream. Wind down the day with wine on tap and snacks in Bayou Wine Garden‘s courtyard. Enjoy a mid-morning morning coffee and a pastry at Arrow Cafe on N. Rampart Street on the edge of the French Quarter before walking across the street to Armstrong Park, a lovely but often underutilized park. Watch the ducks paddle around the lagoon and check out the statues and plaque on Congo Square honoring the site as the birthplace of Jazz. 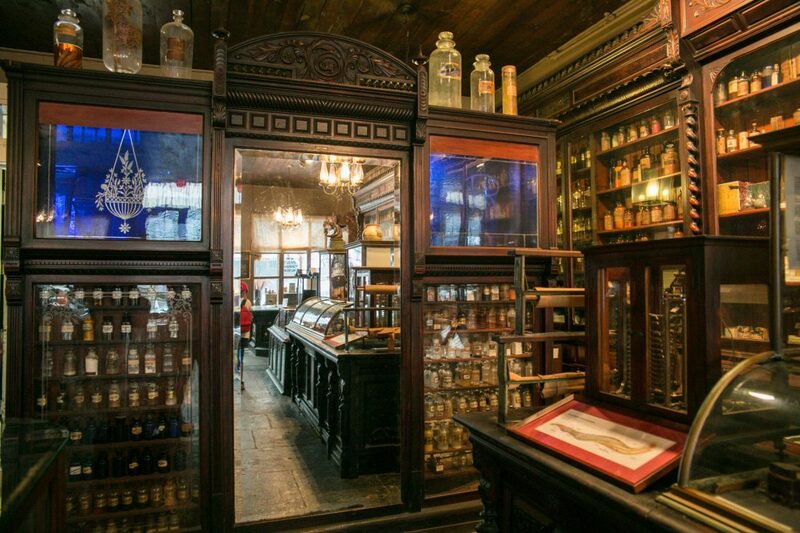 A few blocks away, deeper in the French Quarter, is the New Orleans Pharmacy Museum. The country’s first licensed pharmacist, Louis J. Dufilho, Jr., operated his apothecary here starting in 1823. With exhibits showcasing questionable medical practices, surgical instruments, Voodoo potions, and the soda fountain, this museum may not be for everyone, but it is a fun departure from the more typical art or history museum. The Mississippi River is a defining natural landmark of New Orleans, yet it is so often far removed from the everyday experience here. Walk to Canal Street and head to the river to take a short ferry ride across the Mississippi to Algiers Point, a quaint old neighborhood with tree-lined streets and Victorian homes. Once you disembark the ferry, sit down for lunch at Dry Dock Cafe, a laid-back, neighborhood restaurant. Munch on barbecue shrimp, a New Orleans classic, a cup of shrimp bisque, and a classic fried shrimp, fried oyster, or roast beef po-boy. In New Orleans, it’s never too early for a drink. Amble over to the Crown & Anchor, an English pub down the street. Complete with an old police public call box (à la Doctor Who) marking the entrance, the interior is quite what you would expect in a pub. While away the afternoon talking to the bartender and locals. 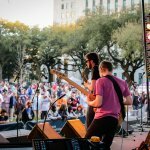 Close out the day back across the river at Wednesday at the Square, a free concert series from 5:00 to 8:00 p.m. in Lafayette Square. Deacon John and Trumpet Mafia hit the stage this evening, and food, drink, and arts vendors are setup around Lafayette Square. Bring a blanket to relax, or dance along with the crowd. Buy dinner before the festival wraps up from one of many local restaurants that set up satellites here. If the weather is good, go for a swim at the Country Club down the street, which opens at 10:00 a.m. Access to the pool is $15 for the day, with chairs are on a first-come, first-served basis. Towel and locker rentals are $2 each. Sip on a mimosa and crack open a book to digest breakfast before hopping into the pool or hot tub. Use this time to take it easy before hitting Jazz Fest. Order lunch pool-side and enjoy a light meal like fish tacos or the poke salad. After several hours, or after you’re sufficiently pruned, dry off, put your shorts back on, and skip over to Studio BE. 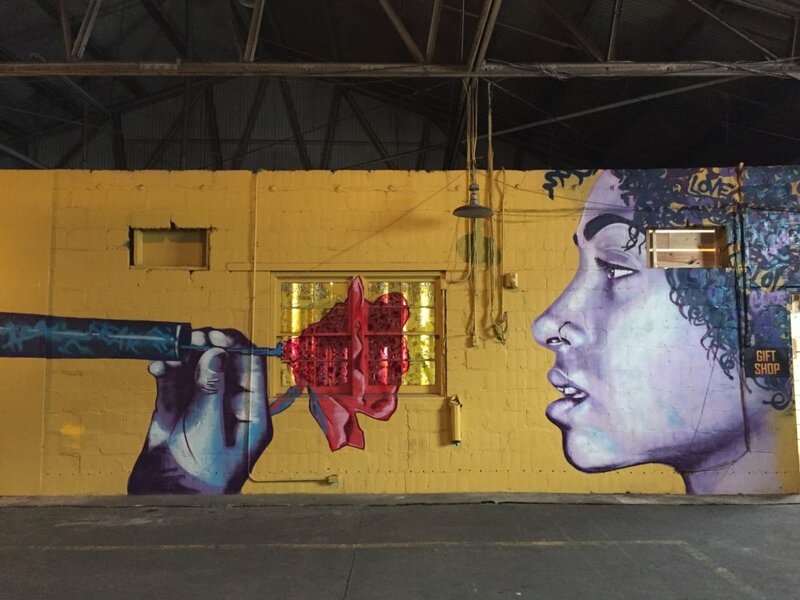 Housed in a warehouse, local visual artist Brandan “BMike” Odums’ large-scale, mostly spray-painted murals spark dialogue about activism and resistance, speaking particularly to the young black experience. Gallery admission is $10, and there is also a small gift shop. After examining the murals inside the 35,000 square feet warehouse, step back outside and admire the mural on the exterior of the warehouse depicting another Bmike creation—a young girl stands with arms upward and outward, a halo illuminating her face, reminiscent of a religious figure. Across the railroad tracks and Homer Plessy Way (formerly Press Street), a wall almost a block line showcases the These Are Times” mural by artist Ayo Scott. The mural showcases a timeline of sorts, showing how African Americans worked to gain equal rights, from Brown v. Board of Education, to the Civil War monuments national discussion only recently. Make reservations in advance for dinner at N7, a quiet, Old World-style French, with subtle Japanese influences. Imbibe a drink at the small bar before dinner to fully experience the ambiance. Make sure to note the night’s specials, but everything on the menu is delicious. Try the steamed mussels in broth made with sake and the steak au poivre. Order the macarons for dessert. After dinner, take part in 504 Comedy Week at the New Movement. All shows are $5.04 and a portion of the proceeds go to charity. Jazz Fest continues on Friday, so if you haven’t got tickets for today, don’t fret. Start the day off by eating breakfast at Pagoda Café, which opens at 7:30 a.m. Order the breakfast tacos, pastries, house-made granola, or soaked oats, plus your morning coffee or tea. Enjoy this laid back neighborhood spot without rushing, particularly if the weather is nice. 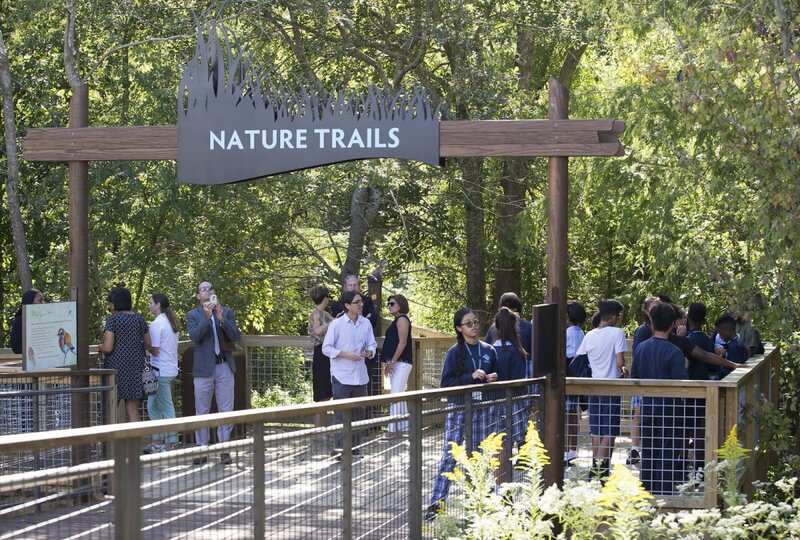 After breakfast, grab a hat, sunscreen, comfortable walking shoes, a bottle of water, and bug spray to tackle the Audubon Louisiana Nature Center in New Orleans East. The facility reopened in 2017 after Hurricane Katrina severely damaged it in 2005. Now, it offers botany and interpretive centers, a planetarium, nature trails, and more. The Audubon Louisiana Nature Center offers three short trails totaling 1.6 miles that will provide lovely views of Southeast Louisiana but not tire you out for the upcoming weekend. The Adventure Trail is a primitive trail 0.8 of a mile. Combine it with the Boardwalk Trail, which is ADA accessible. Lastly, check out the Discovery Trail, another short primitive trail. After your mid-morning hike, head to Dong Phuong, a Vietnamese bakery and restaurant, for lunch. New Orleans has a substantial Vietnamese population as many immigrants arrived after the Fall of Saigon in 1975. New Orleans East is where you’ll find one of several local Vietnamese communities. Order a Bahn Mi, such as the Vietnamese grilled pork or the barbecue chicken. Top off your meal with mochi, yucca gummies, or tapioca cake. Once you leave the East, head back into the heart of the City to stroll around the French Quarter. Even though the Quarter is the city’s prime tourist attraction, it is a must-see. 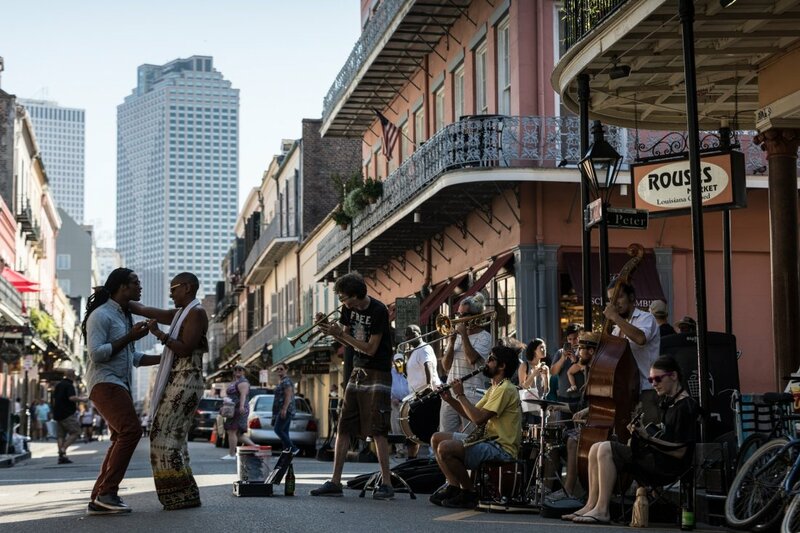 Rather than bee-lining to Bourbon Street, stroll up Royal and Decatur Streets which are filled with art galleries, antique shops, and clothing stores. If you like antiques, make to visit M.S. Rau Antiques. The items on display are for sale, but you might mistake it for a museum. If you’re lucky, they may give you a tour of the secret room. 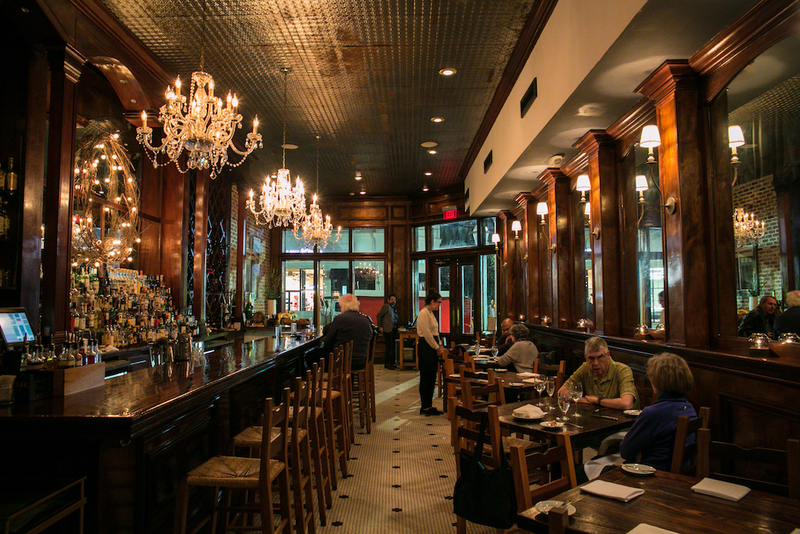 After an afternoon jaunting around the Quarter, spend a quiet evening dining at one of many French Quarter restaurants, like GW Fins, known for its outstanding fish and seafood dishes, or Chef Susan Spicer’s Bayona. Take it slow to really enjoy the fine dining experience. If you aren’t tuckered out by then, walk over to Bar Tonique or Black Penny for some after dinner drinks before calling it a night. 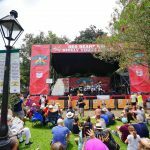 After all, you want to be well-rested for the second weekend of Jazz Fest.